TDP-1 plant commissioning works were completed at the landfill of GP KО ЕSОО State Enterprise Waste Management Unified System in Kaliningrad region. 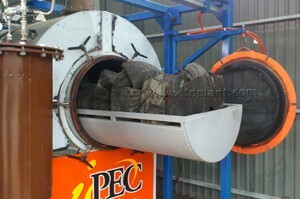 IPEC company has designed and manufactured waste tyre pyrolysis plant with a capacity of 100 kg per hour. Batch Thermal Decomposition Plant (TDP-1) uses pyrolysis technology to thermally decompose used tires into liquid fuel, carbon black and metal. 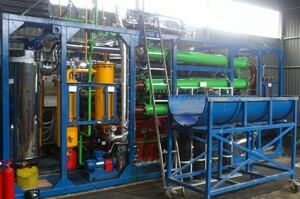 Pyrolysis gas generated during the plant operation can be as alternative fuel type to satisfy plant’s energy needs.